This entry was posted on Friday, September 16th, 2016 at 2:51 pm. *This article originally appeared in Horse & Style Magazine’s March/April issue. I wrote it for their “History of Equestrian Style” series! 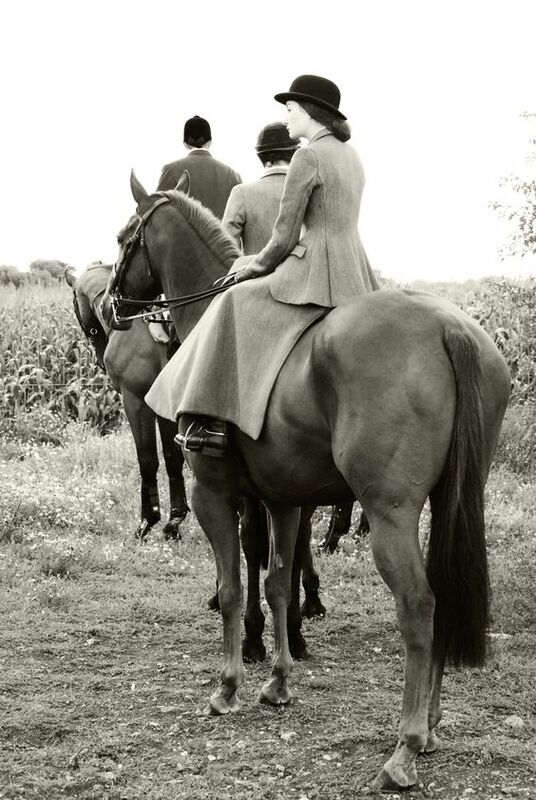 While the origin of the very first riding jacket is unknown, we do know that jackets currently worn by English-disciplined equestrians evolved from the coats initially worn by foxhunters. 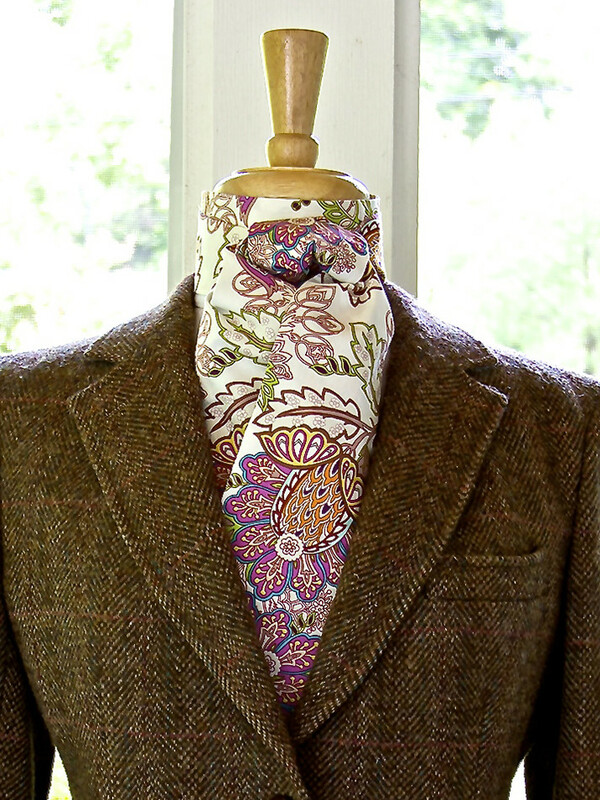 It is widely thought that these jackets were created in England sometime in the early 1700s. By the early 1800s, traditional riding jackets were made by tailors, (not seamstresses), so the jackets were fit to, and more fashionable, on men. A multitude of sleeve options were seen, including cuffs and flared ends, and pockets could be both functional and false. The fabrics typically used were thick wool or a wool/silk combination. Jackets meant for everyday outdoor use usually came in neutral colors, such as brown, blue, and beige. If the jacket was made specifically for riding, however, it was often a tad more vibrant, like green or red. And speaking of red, “pink” is a term used to describe the red or scarlet hunt coat. While the origin of this term is still unknown, many say it was named after the tailor who, supposedly, made the first red hunt coat, Mr. Thomas Pinque, (pronounced, “Pink”), of London. He reportedly chose deep red Melton (a wool fabric) for the jacket because if the hunter got blood on it, the stains would not show. The traditional red coats are worn by huntsmen, masters, former masters, whippers-in, staff members, and those who have been invited by the masters to wear hunt buttons on their coats. Buttons, which are usually brass, are given in recognition of service and helpfulness with assisting the field and running the hunt. Masters may also invite members to wear the colors (the colors being the scarlet coat as opposed to the traditional black coat) even if they are not staff or current or former ranked officials. It is a great honor to be asked to wear hunt buttons and the colors. 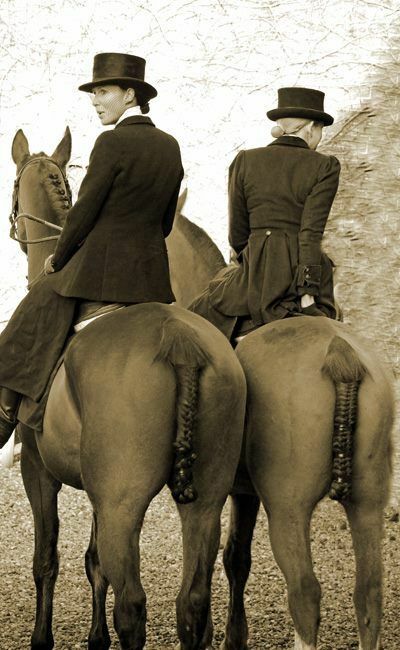 Ladies who rode sidesaddle wore wool twill jackets, which consisted of the jacket, apron, and false vest. Depending on the size of the budget, these jackets could be custom-designed and very ornate with numerous buttons, bowties, ruffles, and embroidery. Twill jackets were form-fitting, tucked tightly at the waist, but then flared out comfortably over the hips, making it easier to move while in the saddle. As the hunt seat discipline is based on the tradition of foxhunting, it would make sense that the hunt jacket evolved from the ones worn by those riding to hounds. The hunter/jumper maintains a classic and conservative dress. The typical habit consisted of a black, navy, hunter green, or grey jacket, a white or light-colored shirt, with beige or tan breeches completing the look. In recent years, fashion-forward riders have pushed the envelope, so to speak, and now hunter seat riders have a much wider variety of jackets to choose from. Patterned jackets, such as pinstripes, herringbone, and plaids, have appeared in the show ring. Additionally, solid-colored jackets with a different colored shade of piping accent today’s coats, adding a bit of pop to the outline. Overall fit has improved as well. Centuries ago, jackets were made by men for men, so women wore plain, larger-fitting, boxier coats. Today’s jackets are very flattering, form-fitting, and trimmed with movement and comfort in mind. While polyester seems to be the material of choice, some jackets have a breathable mesh backing that wicks away moisture, making them both durable and waterproof. Some popular brands have even added decorative buttons and embroidered logos, which add sleek style to any ensemble. Whether you are a more traditional equestrian who prefers sedate, conservative attire, or one who enjoys flashier garments in the show ring, many options abound. 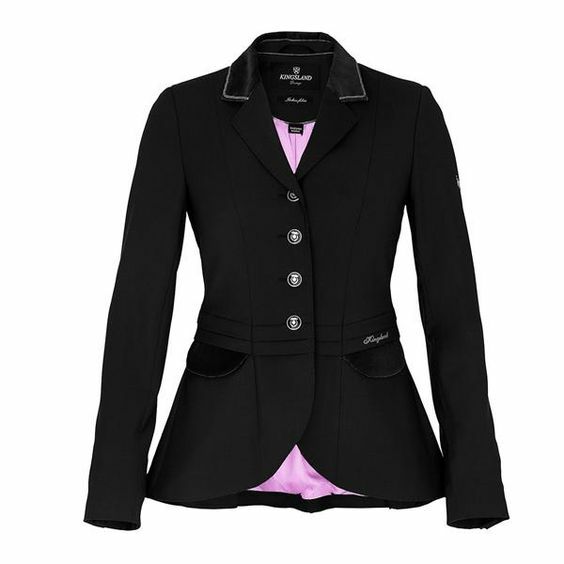 Today’s riding jackets grant us the freedom of flexibility and comfort while allowing us to look and feel glamorous.